Learn how to sort and upload media using the Media Library. After logging into the ESP Websites admin, click on the Media Library button on the Management Toolbar. To filter how you view images, click the dropdown for Level and you will see Company, Personal Shared or Personal. Once you choose a filter, you can type the name of an image file into the Search box and click Go. When you locate the file, it will display in the Library Items area. In this area, you can see the image file name, image thumbnail, level and actions. The actions are: Edit, Copy and Delete. Click the file name or the Edit link in the Actions section, and its information will populate in the Properties box to the right. 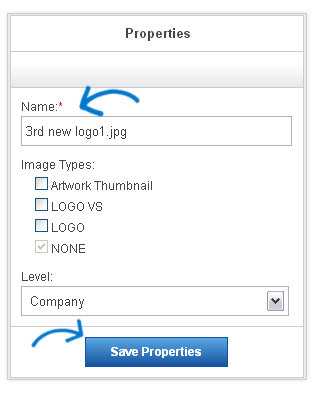 In the Properties box, you can change the file name, label the image type and the level. Click Save Properties when you are finished. To upload a new image to the Media Library, click the Upload Media button at the bottom of the Library Items listing. Browse your computer for the media you would like to upload, select it and click on Open. Note: The file upload window may look different on a Mac. Your new file will appear in the Library Items listing and is ready for use on your ESP Website.